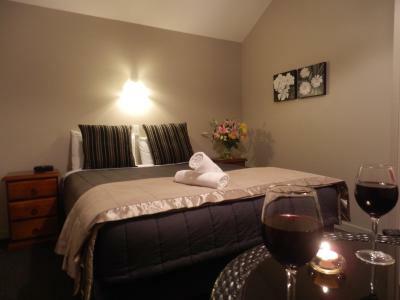 Lock in a great price for Lake Wanaka Lodge – rated 8.2 by recent guests! There was a fan in the room as it was very hot, this was a nice touch. I left a SIM card in the room and they saved it to give to me when I came back for my luggage after checking out in the morning. Room is comfortable size. Very good property. It is very close to city centre. The environment is peace and clean. Lovely. Amazing price and amazing staff. The room was clean and the beds were comfy. If you go to the balcony you'll have a great view of the city and lake. Japanese breakfast was very special and yum! Very nicely prepared! Spacious room and heater available. Owner is very friendly. Extremely quiet! Nice hosts. Facilities good. Quiet spot near town. The lodge is located in a quiet cul-de-sac away from the bustle of town although still close enough to walk to town. It had an outdoor spa pool - we didn't use it as it was raining while we were there. There is a guest lounge area with a library of books to choose from. The room was very compact with all the basics required. The beds were comfortable. Good location ten minutes walk from centre of town and the lake. Very quiet. Friendly welcome. Comfy bed. Lovely lounge area and balcony for use of guests. Lake Wanaka Lodge This rating is a reflection of how the property compares to the industry standard when it comes to price, facilities and services available. It's based on a self-evaluation by the property. Use this rating to help choose your stay! 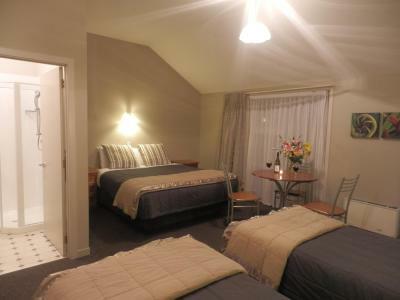 Wanaka Lodge offers 10 studio guest rooms, with full private bathrooms, free Wi-Fi access and a balcony or courtyard. A cooked, continental or Japanese-style breakfast is available upon request at check in. Evening meals can also be arranged by the Japanese chef. Charges apply for all meals. Guests can relax by the fire in the privacy of the Lodge’s lounge. 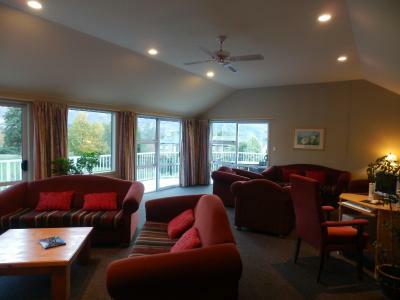 The lounge offers panoramic views of Lake Wanaka and surrounding mountains. Take advantage of the many activities the region has to offer including hiking, fly-fishing, and golfing. Guests can enjoy a day trip to a nearby winery or ski the popular Cardrona or Treble Cone slopes. This is our guests' favorite part of Wanaka, according to independent reviews. 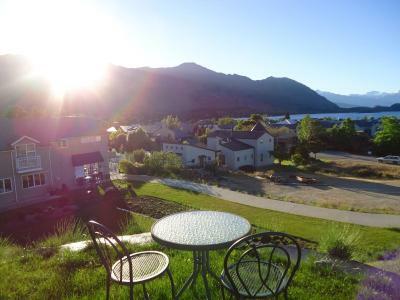 뀐 Located in the top-rated area in Wanaka, this property has an excellent location score of 8.0! When would you like to stay at Lake Wanaka Lodge? 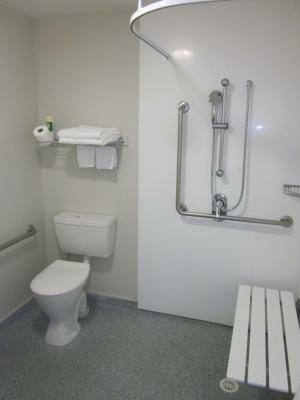 Features a private bathroom and balcony. Features either a balcony or courtyard. House Rules Lake Wanaka Lodge takes special requests – add in the next step! All children under 2 years are charged NZD 15 per person per night in a crib. One child under 12 years is charged NZD 15 per person per night when using existing beds. One older child or adult is charged NZD 25 per person per night when using existing beds. Lake Wanaka Lodge accepts these cards and reserves the right to temporarily hold an amount prior to arrival. Please note that access to the hotel is via Helwick Street. Guests need to walk all the way up Helwick Street and the lodge is located at the end of the street. For further information, please contact the hotel directly, using the contact details found on the booking confirmation. Transfers are available to and from Wanaka Airport. Please inform the property in advance if you want to use this service, using the contact details found on the booking confirmation. It was very cold when we arrived however the heater in our room wasn't working - it required re-setting every now and then. I expected motel accommodation- my mistake - so was disappointed there was no facility in the room for basic food preparation. Room quite small when storing luggage. Parking is quite tight. No view as it is in residential area. Clean... Value for money... great staff! The lodge is a very short walk to the main area of town which was handy to head out for dinner. Didn't need to take a car. Room wasn't that large but it suited what me & my work buddy needed. The front of house lady was great sorting out everything that I needed. Breakfast was good and ready at the time we booked. Not that nice view of car park. Gardens need attention. Friendly staff. Nice place to sit and enjoy fire. Well situated with only a 10 minute walk into the town. Staff were pleasant , beds comfortable. it also has a lovely guest lounge. 1. Having to shut windows because of bugs. 2. The shower flooded the bathroom floor if the showerhead was pointed toward wall, instead of straight down. It got through seams of shower wall? 3. The parking area was too hard to negotiate. I hit a bollard. The manager kindly showed me a different easy area to park in. The comfortable atmosphere. I appreciated the balcony because I could hang out my bathing suit on my camping clothesline. I appreciated the wonderful room fan. A really pleasant stay. Very friendly helpful owners. Good value for money. Wi fi dropped out every few minutes. Parking was a battle.